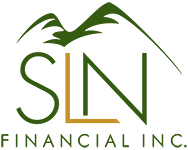 November 11, 2015 - Common Insurance Pitfalls to Avoid | SLN Financial, Inc.
One of the main benefits of life insurance is that your beneficiaries can receive the proceeds quickly, and without going through probate. However, if you make the error of naming your estate as beneficiary, it forces your loved ones to go through probate and potentially pay higher taxes. To avoid creating headaches for your family, make sure that you specifically name the people you want to be your beneficiaries and update them as needed. We also recommend naming several backup beneficiaries in case your primary beneficiaries predecease you. If you no longer have living beneficiaries when you die, the insurance proceeds will be paid to your estate. No one wants to pay more than they have to for insurance (or anything else). However, going with the lowest rates may end up costing you a lot more down the line if you don’t get the insurance benefits you deserve. Besides competitive rates, look for an insurance company that is financially sound, offers good customer service, and has a reputation for handling claims fairly. A qualified insurance professional can help you compare policies to make sure that you’re not paying for options you don’t need. Is my policy still in force? Is the insurance company still financially sound? What need does this policy meet? Do I have the appropriate amount of life insurance for my current and future needs? Am I overpaying for options I don’t need? Life insurance is complex and there are many factors to consider. One mistake we often see is that people only have the life insurance available to them through their employer. What happens if they get laid off or have a gap between jobs? It’s also unfortunately common for people to drop insurance policies without thinking carefully about their future needs. We strongly recommend that you consult with a qualified insurance professional who can help you find out if you have the right kind of insurance for your situation.